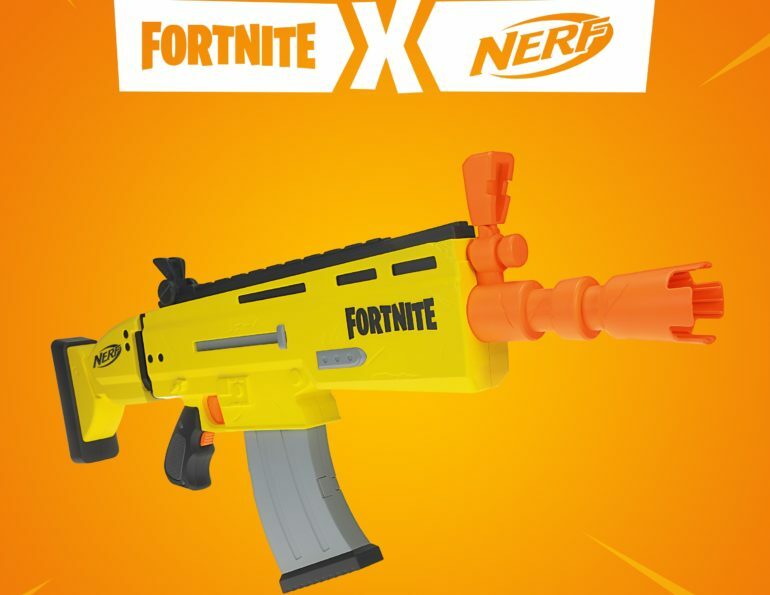 Looks like Epic needed Hasbro to Nerf a Fortnite weapon. The toy company Nerf has revealed its first Fortnite-themed blaster today. The company took to Instagram to unveil the first images of the legendary Assault Rifle Nerf launcher. The Assault Rifle blaster comes with 20 Nerf elite darts and can carry up to 10 darts in its clip. Nerf has not revealed the dimensions of the blaster, but it looks big enough even for adult fans to carry and play with it. This Fortnite Nerf gun will be available on June 1, 2019 and will be priced at $49.99. Fans who attend to TwitchCon 2018 will be able to see the product first-hand from Oct. 26 to 29. Fortnite developer Epic Games and the owners of the Nerf brand, Hasbro, have not revealed if they will show off the product in action in their TwitchCon area. The partnership between the two companies has been known since early September, but there were no details about the products at that time. Hasbro has been investing on partnerships with major gaming companies since early 2018. Along with this partnership with Epic, Hasbro has launched Nerf blasters for Blizzard’s Overwatch, specifically a replica of Reaper’s Hellfire Shotgun and D.Va’s pistol. This is the first Fortnite Nerf gun that comes from this partnership, but it is not the first product overall. A special Fortnite edition of the world-famous board game Monopoly was also revealed as part of the partnership and is already on sale for $19.99.